Jonathan Bombulie of the Pittsburgh Tribune-Review: Pittsburgh Penguins GM Jim Rutherford wondered during a radio appearance on 105.9 FM if some roster changes are needed to help break their recent slump. There has been a lack of secondary scoring. 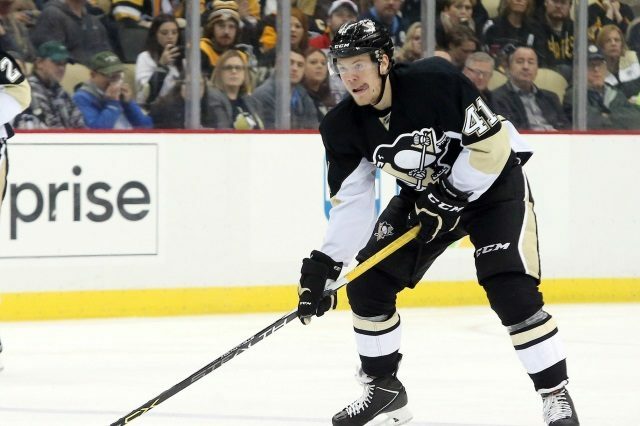 The Penguins had hoped that Daniel Sprong would be ready for a bigger role, but that hasn’t worked out so far. Their preference is usually to allow players to figure things out on their own. Rutherford did add that there may not be any players on the open market to help out there defense. Chris Nichols of Nichols on Hockey: Darren Dreger was on NBCSN last night and was asked if Pittsburgh Penguins GM Jim Rutherford was up to anything. Dreger notes that Rutherford is working the phone but may not be at an urgent point just yet, but he does realize there may be some chemistry issues. 21-year old Daniel Sprong was a made a healthy scratch last night and has played a limited role with the Penguins since being drafted. “But because of his age and the belief that he can be a top-nine, perhaps project into the top-six, there is going to be some interest, and I’d be surprised if he isn’t moved.